Intermediate Lake home in a great location, where you can walk to the charming village of Central Lake with restaurants, shopping and more. This popular all-sports lake is great for boating, skiing and fishing, and is connected to miles of waterway as part of the Upper Chain O' Lakes. 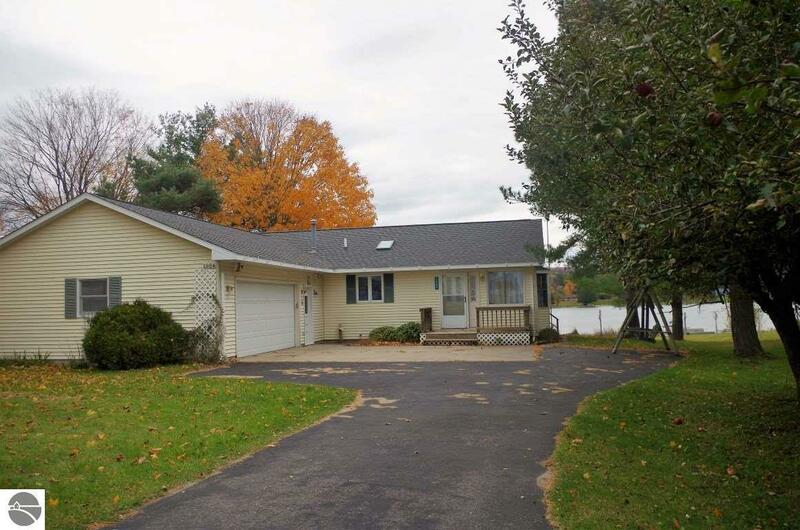 This well maintained ranch home has 3 bedrooms and 2 full baths with an open floor plan and a view of the lake from almost every room. Large kitchen with lots of counter and cabinet space. On a quiet street with natural gas, cable tv and high speed internet available. Paved drive and an oversized 2 car attached garage. Suitable for year round use or an up north getaway.